I spent the entire month of September, National Lymphoma Month, trying to bring awareness to lymphoma as well as other blood cancers. My cancer, Hodgkin’s Lymphoma makes up just 1% of all cancer diagnosis. So it only makes sense that not many people know just what lymphoma is. But as time goes on, an even bigger awareness is needed. Many cancers are now very treatable and curable. Hodgkin’s has a very high cure rate, but it is not good enough, and it is not safe enough. In any case, many survive Hodgkin’s Lymphoma, often just to have to deal with a secondary effect, if lucky, just one. 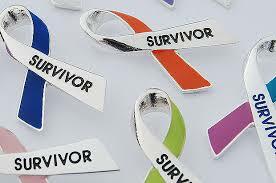 Over all, there are over 12 million cancer survivors and the number is expected to grow. But just like people being unaware of Hodgkin’s, there is also an unawareness of cancer survivors. 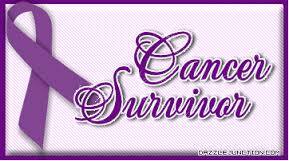 I was meeting with the Survivor Committee for our local Relay For Life. And a disappointing number was revealed. The number of survivors attending the RFL have dropped nearly 50% over the last few years. Together, we tried to figure out why. In a perfect world, less people might just be getting diagnosed with cancer. Perhaps cancers now are crossing over into other illnesses such as cardiac or lupus or MS (or any others) and simply the events now conflict with each other. As a long term cancer survivor, I offered this observation. For the first few years of my survivorship, I had the constant reminder of being a cancer patient/survivor because I had follow up appointments to get to. Cancer was still a part of my life and it meant something to me to participate in Relays because I was surrounded by others who had gone through cancer. But once I hit the magic five-year mark, my oncologist forgot about me. And so, that became an opportunity for me to forget about cancer. That is, until my late effects hit me many years later. Today, protocols are now in place not to let cancer survivors be forgotten. The American Cancer Society views a cancer patient as a survivor from the moment a patient is diagnosed. So while that is a great concept, and the desire is there to get and keep survivors involved with the Relay, there is an even bigger population who has been forgotten. And this could be for the very same reason I mentioned earlier with the added fact that those in our lives have also moved on without cancer presently in our lives. 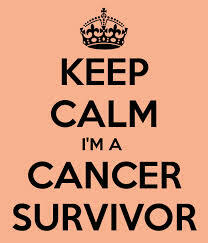 When you have lost so many in your life, in my life 5 immediate family members to cancer not to mention the countless friends and acquaintances over the year I have met, survivorship is a big thing. And not just because you beat cancer. But many survivors have a bigger issue ahead of them. We were not expected live so long after our cancer treatments. BUT WE DO!!! That is the good. The bad is that we are living long enough to have outlived the research that had been done to determine late developing side effects, some very serious, if not fatal. We need to get and keep survivors involved in things like the Relay For Life. After tall, this is your moment, to remind you that you have not been forgotten. This is your reminder that there is help available for the many things that are going on with your body that neither you or your doctors understand. There are over 12 million of us, SURVIVORS. It is time to become aware that we exist. And we need help too.